An event cannot be called a true success unless the food and drink was wonderful too. That is why we continuously challenge ourselves to keep surprising you with delicious, creative, affordable catering. 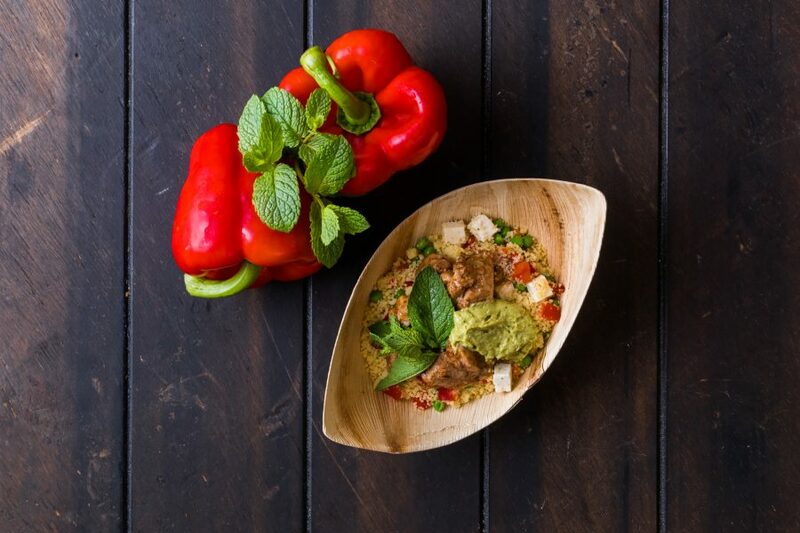 We keep abreast of all current trends and invest a lot of time and effort in food innovation, resulting in new flavours and extraordinary ways of displaying food. Watch our video and get inspired. 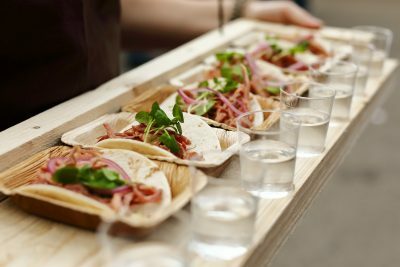 We will realise your wildest dreams with our custom catering. A square full of food trucks serving a dozen different dishes? Or fancy Gin Tonics, shaken but not stirred live next to the equally fancy oyster bar? 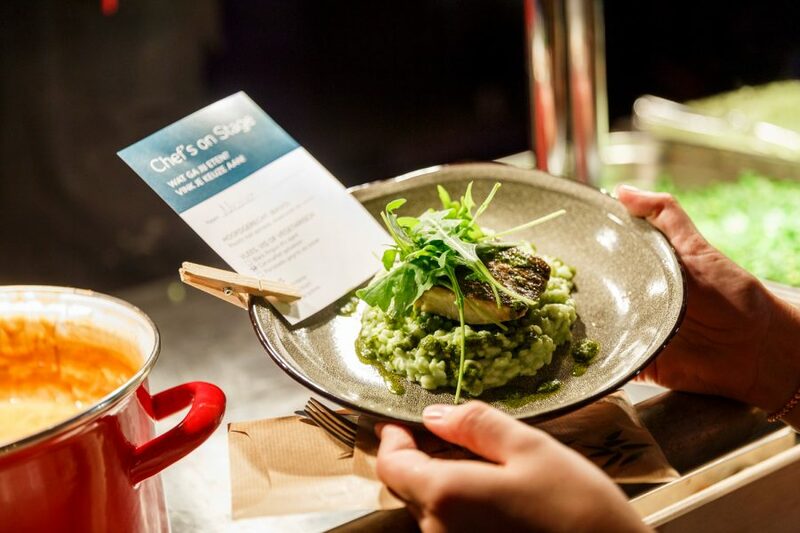 Our chef and our experienced kitchen team would love to take on the challenge and create a delicious catering concept in collaboration with you. Cream cheese injected into Spanish tostados live using a caulking gun, or test tubes full of gazpacho… Our creative kitchen team is constantly coming up with new ways to serve food and drink in a creative, industrial manner. 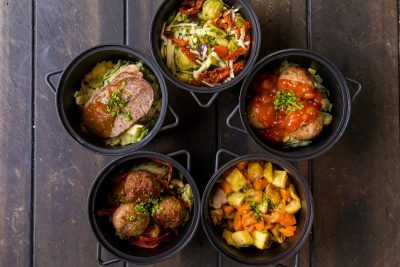 For example, we serve our chicken meatballs in an oil drum and our sandwiches enter the lunchroom by way of Stuart the Food Train. 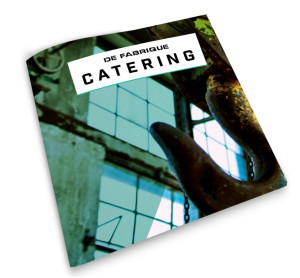 Want to find out more about catering within DeFabrique? Download directly our foodbook! Homegrown products are the most delicious, and moreover, they are better for the environment. 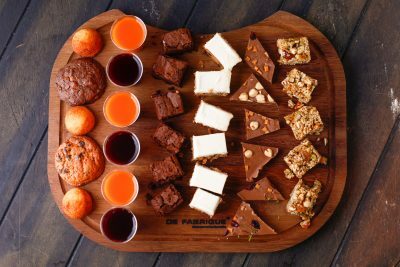 DeFabrique limits its so-called food miles by buying from local (organic) suppliers. Bas Broers runs this family business in Maarssen with great passion; his family has been dedicating their lives to providing high-quality meat as of 1882. 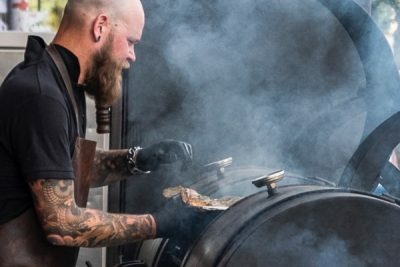 The free-range meat he supplies to DeFabrique is prepared in his impressive BBQ smoker. The Schulp family has been operating out of their facility on the Zandpad in Breukelen along the Vecht river as of 1861. 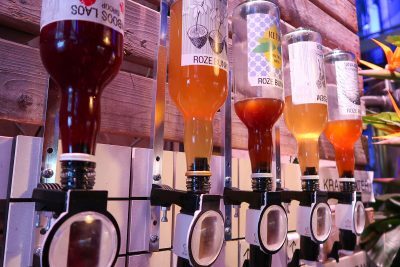 Since 2000, the Schulp brand has been synonymous with pure, unadulterated fruit juices, and their fresh juices are sold throughout the whole of the Netherlands, including to DeFabrique! Even our wine is locally sourced! 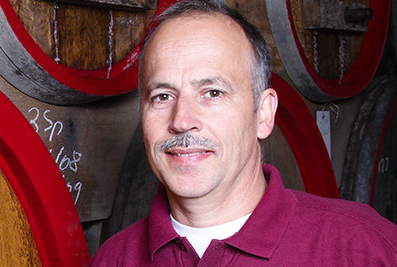 The red, white, and rose wines we serve are made just across the border with Germany, by Hartmut and Petra Bernhard. Their land is some of the best for making wine in the entire region of Rhenish Hesse. 1800 years ago, these lands were already used by the Romans to grow figs, chestnuts, and of course, grapes. Paul Vocking represents the fourth generation of the Vocking family to be making liver sausage according to their authentic recipe as of 1891. 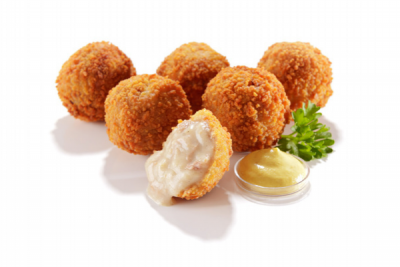 We think that this Utrecht-made sausage is 'Vocking good', and love serving it at events! A scant 12 kilometres away from DeFabrique is the small town of Harmelen, surrounded by green pasturelands that are grazed by many cows throughout the summer. 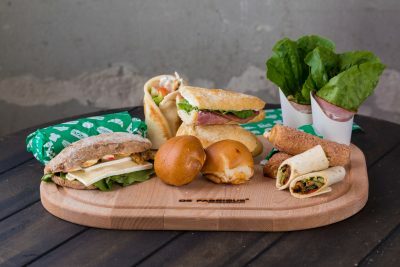 The artisan cheese made at Jan and Anneke De Wit’s cheese farm is used as part of our classic and delicious Authentic & Magnificent bites platter. 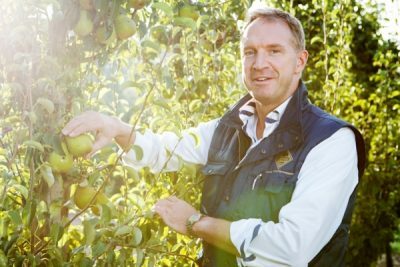 Gert Vernooij owns around 27 acres in Cothen, where he grows the most delicious fruit using environmentally friendly practices. He grows no less than nine types of apples and various kinds of pears to boot. Wonderfully healthy snacks! BACK IN THE DAY, DELICIOUS MEALS WERE COOKED FOR THE FACTORY WORKERS AT THE OLD FACTORY; WE CONTINUE TO SERVE OUR GUESTS DELICIOUS, HIGH-QUALITY DISHES TO THIS DAY. Do you want to know more about our history?